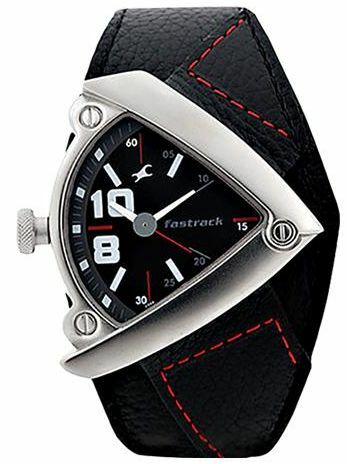 Look extremely dashing with this stylish Bikers analog watch from Fastrack. This watch is ideal for college students and young adults. This watch has a leather strap with a unique triangular case, making it suitable to wear with casual clothes. It also has a stainless steel back cover and precision quartz analog movement. This Fastrack Bikers analog watch is water resistant up to 50 meters.